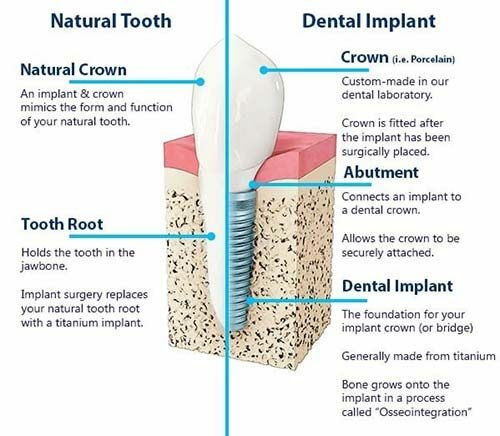 Looking to replace a missing tooth with a Dental Implant? Then Dr Nashmie Cader can help you. I would officially like to welcome Dr Nashmie Cader back to our team. Nashmie originally joined the Smile In Style team in 2012 and more recently has gone on to do further studies to complete a Graduate Diploma in Clinical Dentistry from the University of Melbourne in the area of Implants. Dr Nashmie Cader has always been interested in improving her patients’ smiles and could see that dental implants are the best possible way to replace lost teeth and prevent bone loss. 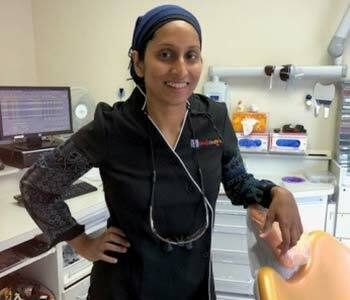 During the 2 year Graduate Diploma course, Dr Nashmie Cader has furthered her knowledge in implant dentistry, oral medicine and oral surgery to enable her to place and restore implants for her patients at Smile In Style. The benefits of dental implants are important to understand. Dental implants prevent bone loss that normally happens when you lose teeth. What this means is that your facial structures and jaw remains strong and will assist you in looking and feeling younger. Dental implants look and feel like natural teeth, so you will laugh and smile a lot more and this will improve your confidence. You will also be able to eat the foods you like again, as implants function like natural teeth, so chewing is improved. This also enhances the digestion of food and your ability to absorb nutrients better. Dental implants are also easy to look after. As they are permanent, they require the same care as your natural teeth. Implants and any surgical or invasive procedure carries risks. We will discuss the risks of the procedure during your consultation as well as examine your health to ensure you are a suitable candidate for implants. Before proceeding, you should seek a second opinion from an appropriately qualified health practitioner. In addition to placing implants, Dr Cader has a passion for restoring teeth by using the CEREC machine to design crowns, inlays or onlays in one visit. She also enjoys changing her patient’s lives through smile makeovers. As Dr Cader was born in Sri Lanka, she loves seeing patients who speak Tamil and Sinhalese.